There are plenty of reasons to visit Florence every year! Take a trip to enjoy the city, the art, and the food. Theres no need to visit a museum in Florence, the city itself is a living museum. In the last years the car traffic was almost banned from the city center and you can walk or bike all around. Now the same restriction will apply to Oltrarno, (the other side of the Arno) freeing also this part of Florence from car congestion, noise and pollution. The Oltrarno is one of the most fascinating areas in the city of Florence where you will find an intense Florentine nightlife and the authentic Florentine citizens. The Oltrarno, the “Rive Gauche “, of Florence where you will find peace and relax, local street markets, artisans at work, great restaurants and, at nighttime interesting “movida”. This is why this year we suggest our clients to use our free restaurant coupon at “La Mangiatoia”. Don’t worry, you won’t regret it. Cross the river and take a walk without a precise destination, searching for the soul of Florence. Then enjoy your dinner. The restaurant was established in the early ’70s and become known for its simplicity, ‘genuineness’ through the use of good local products. It proposes classic Tuscan dishes and pizzas cooked in a real wood oven. 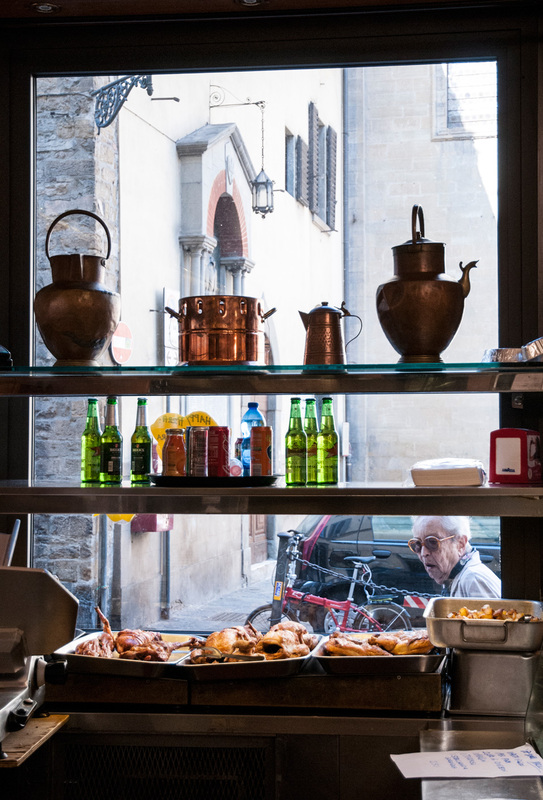 Daniele, the owner has created in Florence a place “where workers, families and even tourists can come and enjoy simple and traditional food”. Daniel gets up every morning at dawn to make bread, according to tradition. He bakes then cures “his” rotisserie for his takeaway deli counter. Dishes vary each day, following the market and the season: the famous rotisserie chicken, rabbit and pork are the pride of Tuscan cuisine. We look for authentic food wherever we go. In California a real Muesli (which can be enjoyed in Austria and Switzerland), tasty and good for you. We wanted to share the brand and the way to buy it, the same way we choose the restaurants and the “gelaterie” all around Europe for you. Sean’s Muesli Munch … a new certified organic breakfast cereal and snack food that tastes great, is healthy for you and gives you long lasting energy! Even better? It’s quick to make and you can take it with you wherever you go! Does it get any better than that? Nope! No excuses – now you really can eat breakfast like you mean it!